Home » Athens » Uncategorized » Hello world! Have you ever vacationed in Greece and wished that you knew the best local spots to visit? If so, you’re not alone. eTravel a dedicated Travel Catalog - Tourist Guide is a selective catalogue of the best accommodation and gastronomic destinations in Greece. Our Greek Travel Catalogue-Tourist Guide is here to help you prepare perfectly for you next trip in Greece. Read through hundreds of listings, tips and tricks that cover thousands of locations in the Greek Islands and mainland. Discover healthy diet here. 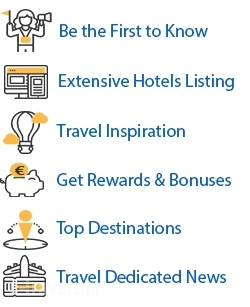 Just join eTravel and tell us who you think would enjoy our extensive listings, friendly services and cost effective packages as much as you do. 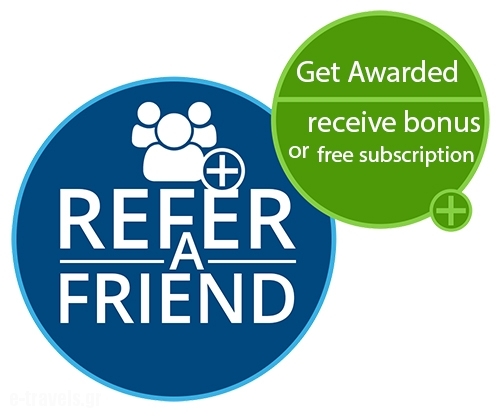 If they subscribe for a Premium Package and join eTravel, you'll both get rewarded. For our packages details and how eTravel Catalog & Tourist Guide works, visit our How It Works page.